Hi! My name is Kim and I'm a licensed massage therapist. I'm licensed in New Jersey and Pennsylvania. I specialize in corporate on-site chair massage events. I'm a Certified Member of ABMP, maintaining the highest professional and ethical standards. I graduated from the National Massage Therapy Institute(Philadelphia)in 2005. I have 13+ years of experience doing employee wellness, holiday parties, Appreciation events(Employees/Teachers) and weddings. Specializing in corporate chair massage events, I come to your location with my massage chair and supplies. I absolutely love doing chair massage! Book me now! Kim was prompt, professional and easy to work with. She is a very talented masseuse and I highly recommend her for your party or event! Thank you so much! I had a great time working the event! Providing Superior Quality, Value and Professionalism. I bring my massage chair, disposable face covers, cleaning supplies, aromatherapy spray and music to your location(office, home or venue). 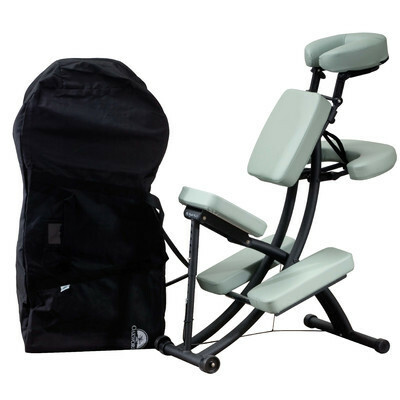 The chair massage is focused on the neck, back, shoulders, arms and hands. A session can last typically 5 minutes and up to 30 minutes. The client leaves feeling relaxed, refreshed, and rejuvenated. No lotion or oil is used for chair massage. There is a two hour minimum. I can easily work 8 hour shifts for one day or multiple days. I also do recurring monthly and weekly events. reflexology chair for these events. The quote includes parking(if applicable), my supplies, my chair, aromatherapy, NJ sales tax(if applicable), toll, mileage and relaxing music. I have been actively doing chair massage since I graduated massage school in 2005. I enjoy being able to bring much needed stress relief doing chair massage at corporate and private events. I love my job! Superior quality, service and affordability-Book me now! Gratuities are greatly appreciated. If you choose to tip, the average amount is 15-20%. Hand/foot reflexology and foot massage are available at an additional cost. If the event is longer than 3 hours, I will need breaks put into my time. I will need a 10 ft by 10 ft space to work in. The set up time is 30 minutes prior to the start time. I work by myself on all events.